October 31, 2015, Queens, NY It was “All Hallows Eve” (a.k.a. 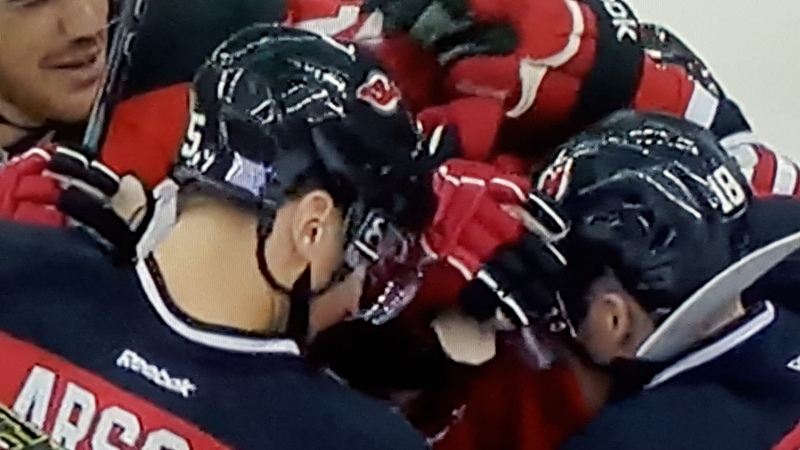 Halloween), and the New Jersey Devils, though outplayed, beat the New York Islanders 3-2 in a shootout this afternoon at the Prudential Center in Newark. The Islanders out played the Devils, but this is the Devils’ Day–Halloween, and even though the Islanders held them to no shots on goal in the third period, the Devils were able to keep the Islanders scoreless. The Devils jumped out to a 2-0 lead in the first period with goals by John Moore and Bobby Farnham. These were the first goals of the season for pair. The Devils seemed to be riding high, but their fate would change in the second period. The Devils tied the game on goals by Anders Lee and Frans Nielsen. In the third period, the Islanders did everything–everything but score that is. They smothered the Devils defensively and kept them on their heels. The Devils were lucky to see overtime, and once again, the Islanders were on the offensive but couldn’t score. 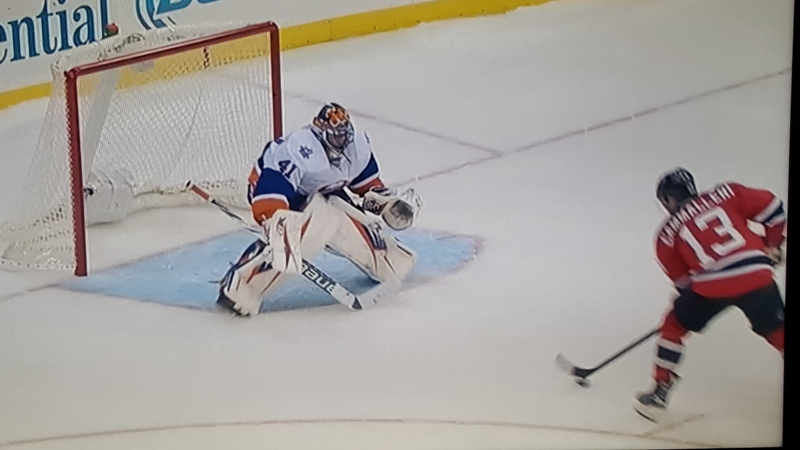 In the shootout, Frans Nielsen scored first for the Islanders. Jacob Josefson tied it, and Mike Cammalleri scored the clinching goal. Tomorrow, the Islanders face the Buffalo Sabres, before facing the Devils again on Tuesday at Barclays Center in Brooklyn. The Islanders’ record stands at 6-2-3 (15 pts.) while the Devils are a respectable 6-4-1 (13 pts. ).